Celebrating 10 years of Mountain Gurus adventures! Mountain Gurus is a mountain guide service based in Issaquah, Washington. 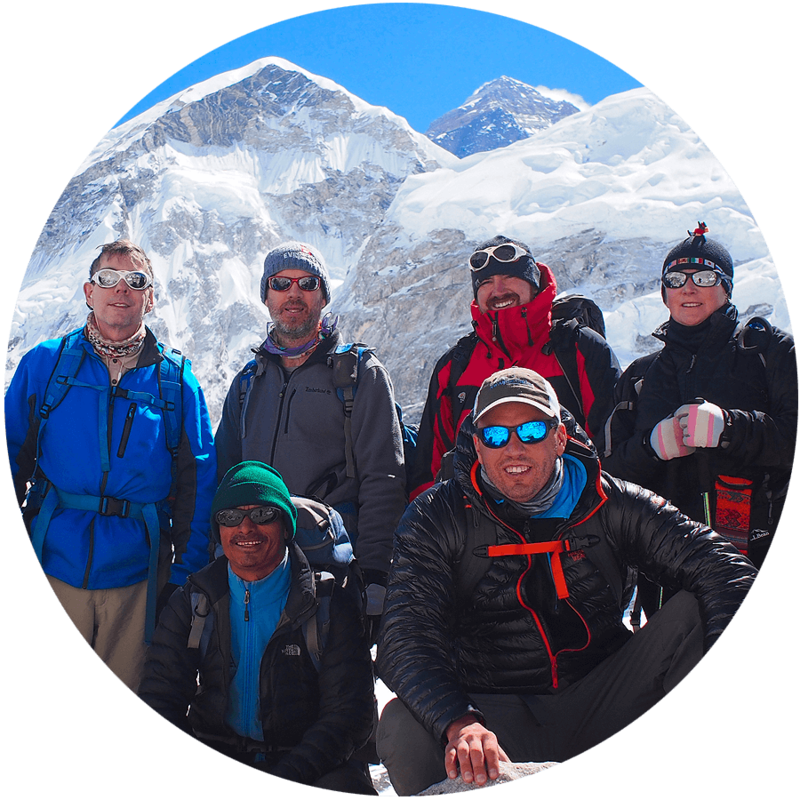 We specialize in Seven Summits, international expeditions, worldwide treks & adventures. Our partner company, Northwest Alpine Guides, operates alpine climbing and mountaineering schools in Washington State. Our trip was an adventure - the combination of exploring Moscow, the Baksan Valley and the mountains, while enjoying the food and culture of both areas with local guides, are hallmarks of the Elbrus trip. We were excellently supported by the Mountain Gurus team. I will happily recommend this trip to others looking for an opportunity to climb Europe’s highest mountain, while experiencing a microcosm of Russian life. Great big thank you to the Mountain Gurus & NW Alpine Guides team for the most challenging and rewarding week of mountain school on Mt. Shuksan & Mt. Baker. For anyone interested in getting into mountaineering or just wanting to nail that first summit I can’t recommend these guys enough! Excellent company! I travel with Mountain Gurus every year since 2011 to different places and I always enjoy the trip. Dennis is always good in organizing everything and very dedicated to his clients, making sure we have a memorable trip. I highly recommended Mountain Gurus to anyone who wants an organized and safe trip. Thank you Dennis and see you again soon! Everest base camp and beyond - My daughter and I had a tight schedule and wanted to get to Everest and up through the Khumbu Icefall. The Mountain Gurus staff could not have been more accommodating in making our trip happen. When you are out of your “element” you rely on your guides and staff completely. This is where Mountain Gurus excels. We always felt that we were well guided, informed and safe. We are planning our next trip with MG.